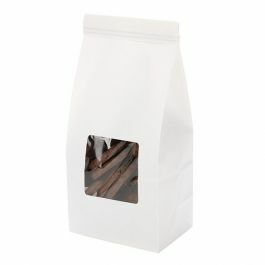 Tin Tie Kraft Bags provide customers with a quick, takeaway bag for bulk candies or a baked treat. 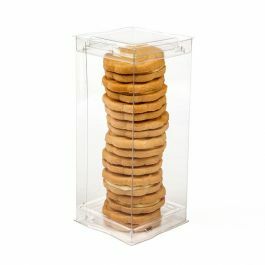 Our TTB1K Tin Tie Kraft Bag measures 3 3/8" x 2 1/2" x 7 3/4"and is ideal for holding donut holes, cookies, brownies, candy, and more. A poly lining keeps products fresh. Secure closure by folding the metal tabs into place. Food safe. 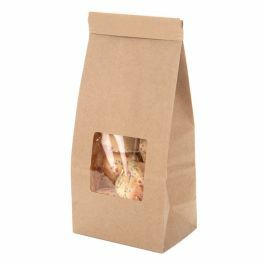 Tin Tie Kraft Bags are a simple, inexpensive packaging solution for bakery items and other food items. 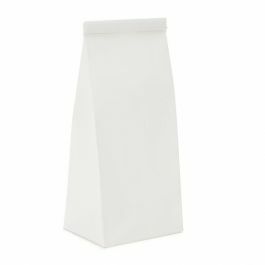 TTB1K is our Tin Tie Kraft Bag that measures 3 3/8" x 2 1/2" x 7 3/4" and is perfect for holding cookies, brownies, nuts, coffee, spices, jelly beans, and more. A laminated inner lining provides a moderate barrier to keep items fresh. 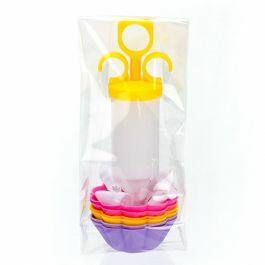 This bag works well for holding small bulk candy and has a flat bottom for easy filling. Secure the bag by rolling down the tie tin top and crimping the metal tabs into place. This bag is easy to customize with stencils, labeling, or a printed design.